Continuing my theme of ‘Trios’ from Fife, as part of the Weekly Photographic Challenge – Trio, here is four photos of animals & insects in threesomes. The first two photos are of cows (or coos in Scottish!) on a misty summer morning in a field above Glenrothes. 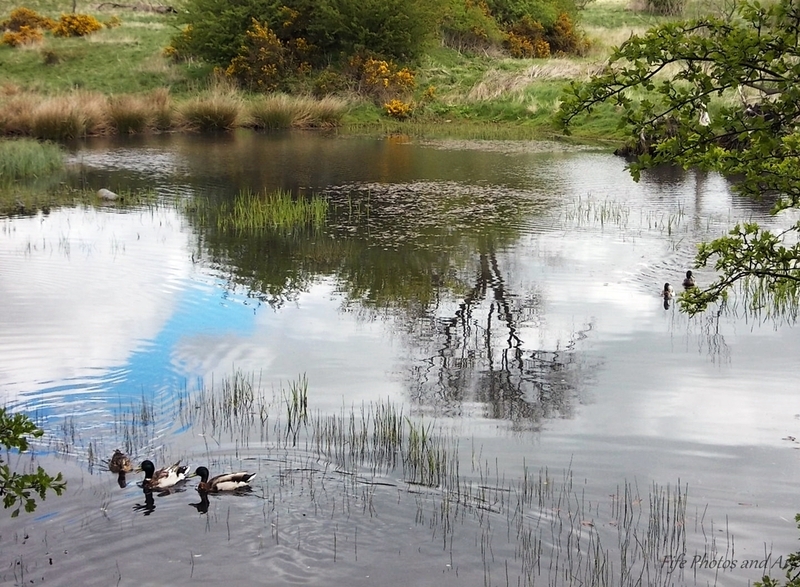 The next photo is of three mallard ducks (2 male 1 female) on a small drainage pond below Markinch, near Glenrothes. 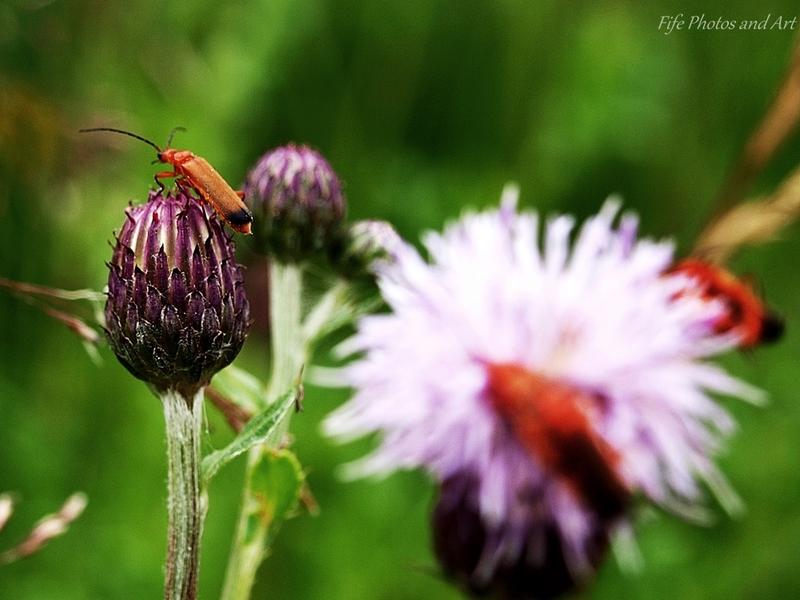 This entry was posted in Fine Art Photography, Weekly Photographic Challenge, Wildlife and tagged birds, black & white photography, Fife, Glenrothes, insects, landscape photography, mammals, nature, nature photography, Scotland, soldier beetles, wpc. Bookmark the permalink. Your photos are so gorgeous! Three… the magic number. Wonderful captures and a fun post theme! 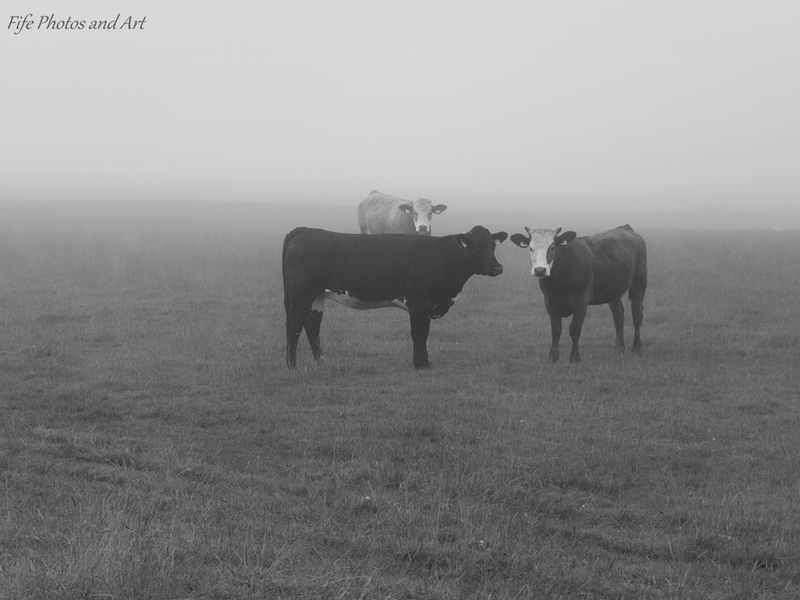 I find myself photographing the neighbors cattle a good bit. They’re rather curious creatures and often follow me as I hike to the river! Your images are so beautiful and soothing. Thank you Lori 🙂 I used to be afraid of cows when I was a kid, for that very reason, when they would start following us as we crossed a field, I thought they were like bulls and chasing us!! LOL!! I love pictures of ‘coos’!! 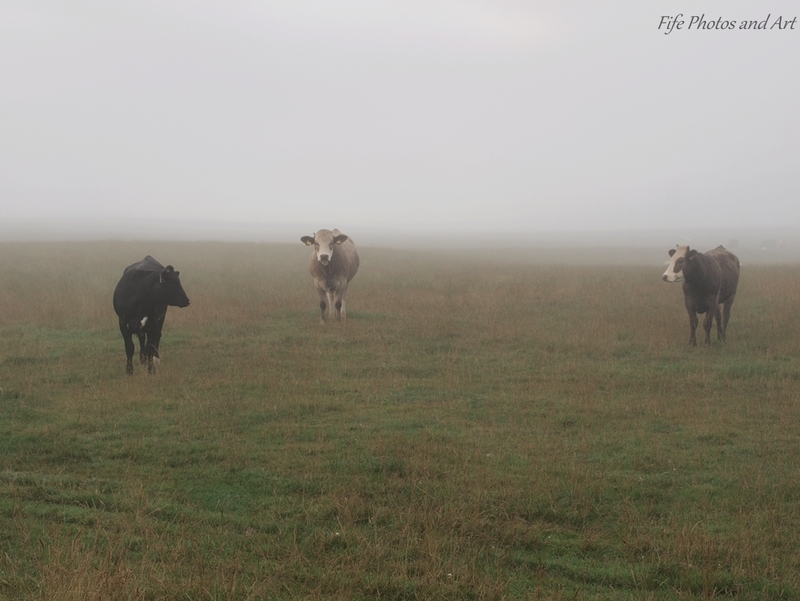 Nice pics, Andy, especially the coos in the mist – very atmospheric! All of these pictures are lovely. The pond picture is gorgeous, but I also love the cattle in the mist. (Sorry, I meant to say, ‘coos’!) And how could i not like the Soldier beetles? In the first photo the coos look like they are saying, “Yes, you may take our picture. We are gorgeous.” 🙂 And they sure are! Love the coos (and the others aren’t half bad either). Such amazing captures Andy! I love the misty shots. You must have gotten up quite early to get those stunning shots and it’s nice to know what cows are called in Scottish. Very interesting.